In terms of narrative structure, character arcs, and facial hair, this was pretty much just Iron Man with magic instead of tech. Iron Man was great, and if anybody can both live up to Robert Downey Jr.’s Tony Stark and at the same time make his version of the insufferable arrogant genius not feel like a poor copy, it’s Benedict Cumberbatch, but I still feel like I’ve seen this movie enough times already. 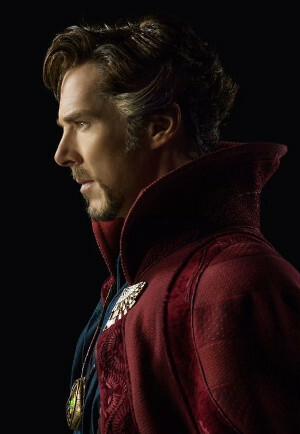 Speaking of insufferable arrogant geniuses, it’s been noted that Cumberbatch is already pretty adept at playing them. Which he is, but his Dr. Strange is, again, a distinctly different kind of insufferable arrogant genius from his Sherlock Holmes. Cumberbatch doesn’t just do insufferable arrogant genius well, he does it with specificity and nuance, which is what makes him such a great actor. Speaking of great acting, Tilda Swinton’s Ancient One is a delight to watch: mysterious without being obscure, playful without being childish, dangerous without being menacing. She and Strange play off one another beautifully. The erasure of Asian people from their own culture and history is a problem, one to which this movie has contributed. This and the above are both true; neither one negates the other. Speaking of erasure, it’s really rather pathetic that there are only two female characters in this movie. One of them dies and a cape has more of an independent story than the other one. Marvel has seriously got to do better. Chiwetel Ejiofor is playing his Serenity character in reverse. The magic in this movie is a beautiful combination of movement and color. This is what magic should look like in film. Next Article Arrival Opens on Friday!